e-News: Holiday donations, new Divvy stations, and more! This email features information about Mayor Hagerty's Holiday Food, Book and Toy Drive, "A Bright Night for the Arts," fall cleanup, new Divvy stations, and more. Donate to Mayor Hagerty's Holiday Food, Book and Toy Drive! 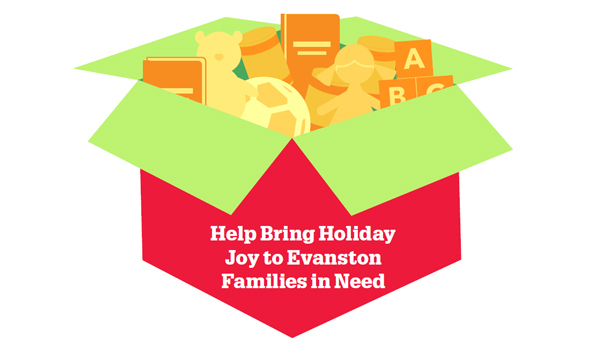 Help make the holiday season merry and bright for all Evanston families! Donations are now being accepted for Mayor Hagerty's Holiday Food, Book and Toy Drive. Make a financial contribution online or drop off toys, children's books and non-perishable food items at locations throughout the city. 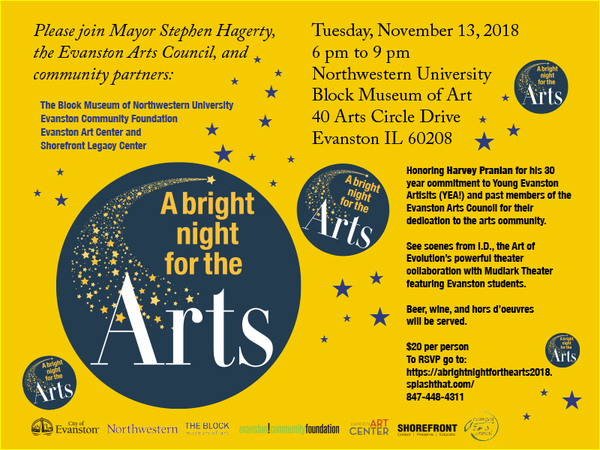 Celebrate the contributions of all those who help make Evanston a vibrant and creative community at "A Bright Night for the Arts" on Tues., Nov. 13, 6 p.m. to 9 p.m., at Northwestern University's Block Museum of Art. Register by Fri., Nov. 9. The City’s Public Works Agency is ready to support your fall outdoor cleanup efforts! 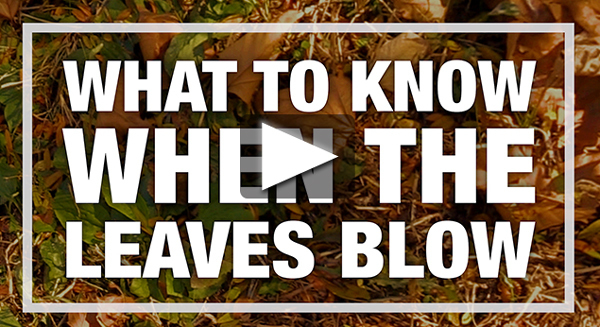 To help keep Evanston streets and yards tidy this season, the City has issued a short video with reminders about street cleaning, yard waste pickup, leaf blowing and more. 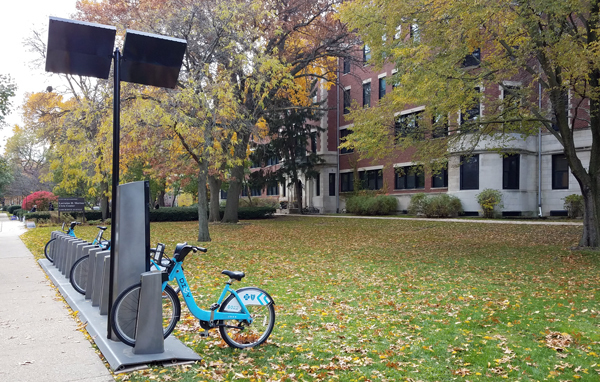 Community members in west and northwest Evanston will enjoy improved access to the City’s Divvy bike share program with the installation of three new docking stations. What's happening behind the fence? 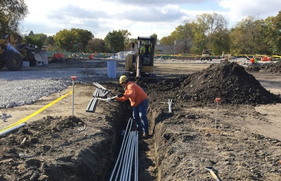 Stay informed on progress at the Robert Crown Community Center, Ice Complex and Library project by subscribing to weekly text or email updates. Check out a digital book with only your smart device! The Evanston Public Library has placed digital pop-up libraries at various high-traffic locations in a pilot effort to remove barriers to service. The Evanston Youth Hockey Association invites youth ages 5 to 7 years old to attend a Try Hockey for Free clinic on Sat., Nov. 10, 12:55 p.m. to 1:55 p.m., at the Robert Crown Community Center. Ald. Peter Braithwaite will host a 2nd Ward meeting tonight, Thurs., Nov. 8, 7 p.m., at the J.E.H. Education Center, 1500 McDaniel Ave.
Ald. Robin Rue Simmons will host a 5th Ward meeting on Wed., Nov. 14, 7 p.m., at Family Focus, 2010 Dewey Ave.
Ald. Cicely Fleming will host a 9th Ward meeting on Thurs., Nov. 15, 7 p.m., at Chute Middle School. 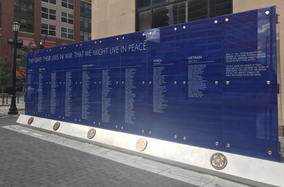 Join veterans, elected officials and neighbors for a Veterans Day Ceremony at Fountain Square on Sun., Nov. 11, at 10:30 a.m. City facilities and services will operate as normal on Mon., Nov. 12. Attend an opening reception for “Odyssey: the life and work of Ron Villani,” on Fri., Nov. 9, from 5 p.m. to 7 p.m., at the Noyes Cultural Arts Center. The exhibition will be on display through Fri., Dec. 28. Attend a free Watershed Learning event, "History of the IL Lakeshore," on Sat., Nov. 10, 10 a.m. to noon, at the Arrington Lakefront Lagoon Shelter. No registration necessary.